IMD is one of 16 institutes of the National Research Council of Canada, the country's leading R&D organization. It was established in St. John's, Newfoundland, in 1985 as the national center for ocean technology research and development. 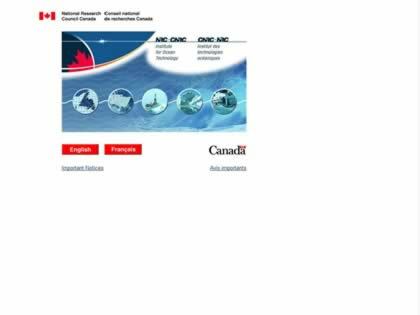 Web Site Snapshot: If available, above is a snapshot of the Institute for Marine Dynamics web site at http://www.nrc.ca/imd/ as it appeared when this site was added to the directory or last verified. Please Note that Boat Design Net has no involvement with the above web site; all content and images depicted in the above thumbnail are the property and copyright of Institute for Marine Dynamics unless otherwise noted on that site. Description: IMD is one of 16 institutes of the National Research Council of Canada, the country's leading R&D organization. It was established in St. John's, Newfoundland, in 1985 as the national center for ocean technology research and development.